﻿ How to migrate Yahoo mail to Mailfence secure email! How to migrate Yahoo mail to Mailfence in a few clicks! What if you’ve decided you’ve had it with Yahoo’s security breaches and inadequate privacy controls and want to leave? What do you do and how do you get your messages out? In this tutorial we explain how to migrate Yahoo mail to Mailfence – a secure and private email service. Configure the client with Yahoo credentials using IMAP or POP. This will require you to enable the use of IMAP (for IMAP access) or POP (for POP access) and ‘Allow apps that use less secure sign in’ from your Yahoo ‘Account security’ settings. This may require you to buy a Yahoo Ad free Mail/Yahoo mail plus service. Configure the client with Mailfence credentials using IMAP. Create a backup of your Yahoo account (go to File -> Open & Export -> Import/Export -> Export to a file (.pst) -> select account -> Finish). Install a plugin, export (backup) all your Yahoo account locally and then import it in your Mailfence account. Configure your Yahoo credentials, uncheck “download new messages only” and then click on Create. Choose your Yahoo address in the given list OR click on ‘Add a sender address’ (only if not done before). Go to your inbox (left panel) and expand your external Yahoo account. Select the messages that your would like to move. If you do not wish to receive any more new messages from your Hotmail/Outlook account in the future, then either disable it (toggle off) or delete it as an external address. Create a ‘backup’ of your Yahoo account (go to File -> Open & Export -> Import/Export -> Export to a file (.pst) -> select account -> Finish). Though you can’t export email messages directly from the Yahoo webinterface, you can export your Yahoo contacts from the webinterface. Log in your Yahoo account, then click the “Contacts” option in the left sidebar. 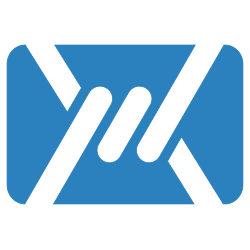 Note: MS Outlook, CSV (Comma-Separated Values), vCard, LDIF and Google contacts formats are supported by Mailfence. Then your contacts are exported into the chosen format. Go to your Mailfence account, then click on the ‘…’ (three dots) in the contacts panel and then click on ‘Import’. Select the respective format and Choose the contact(s) file to import. Should you have any more questions on how to migrate Yahoo Mail, feel free to let us know OR send us an email at support. Do you have other accounts? Check our posts on how to migrate from Gmail or Outlook.